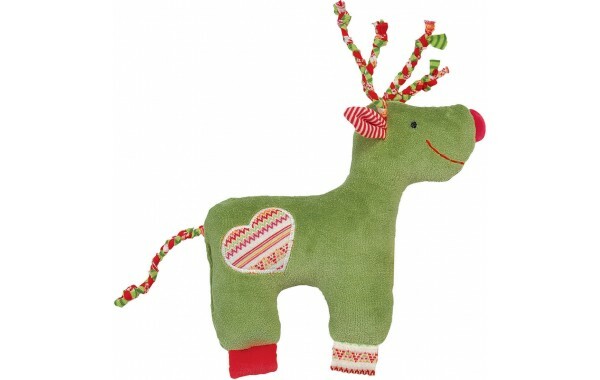 The ikibab reindeer is made of soft cotton fabrics with grasping loops and knots for curious fingers. 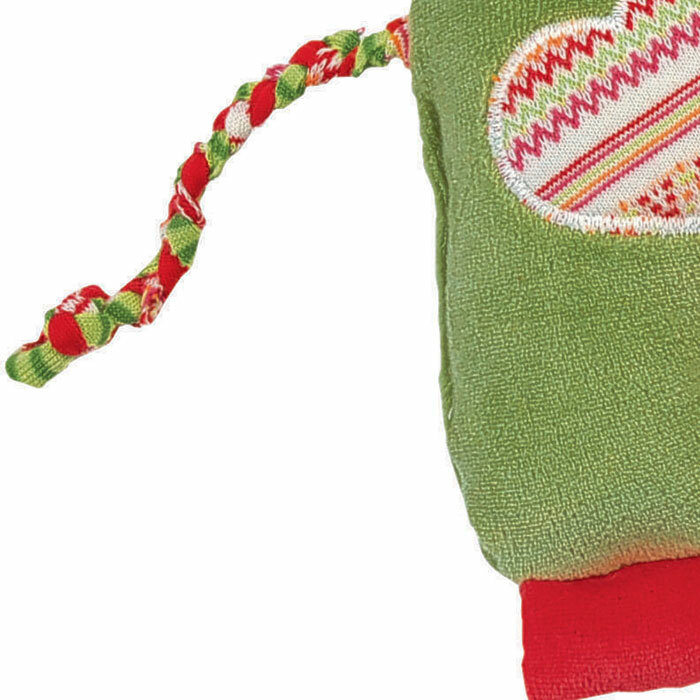 The smiling face is stitched by hand with fine detail and gives the toy an individual touch. 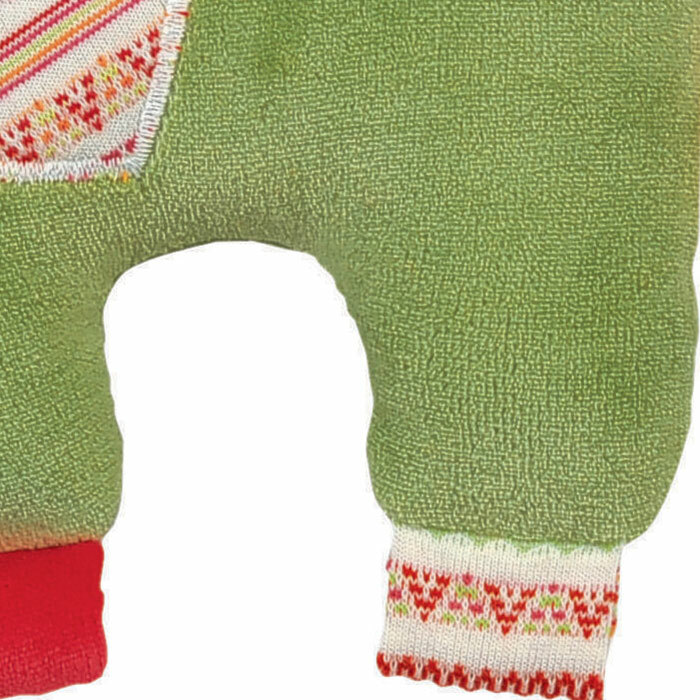 The fabric loops invite children to grasp and explore with their fingers and an internal rattle provides jingling sounds. 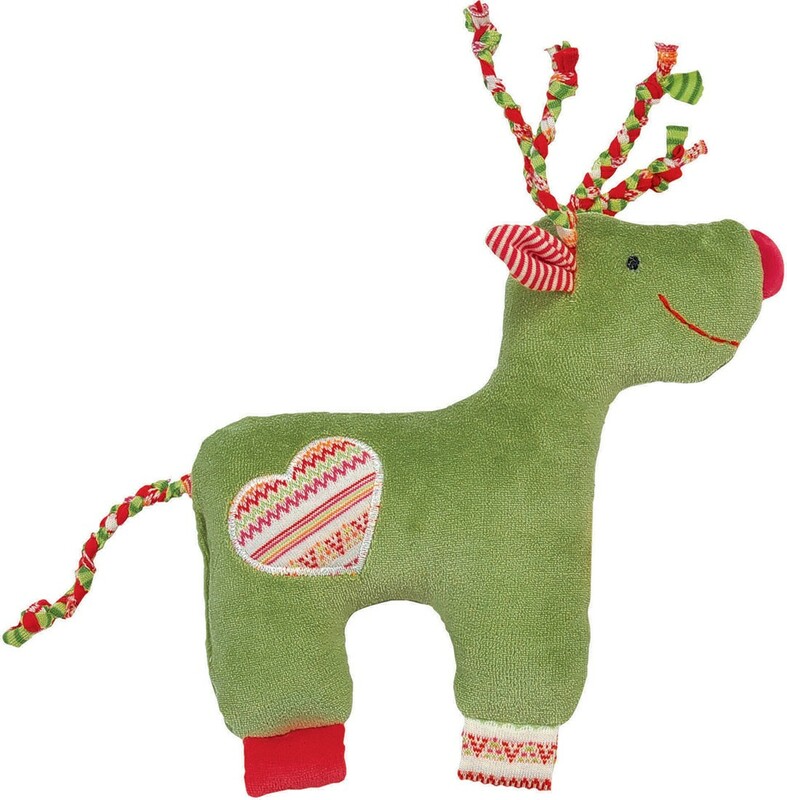 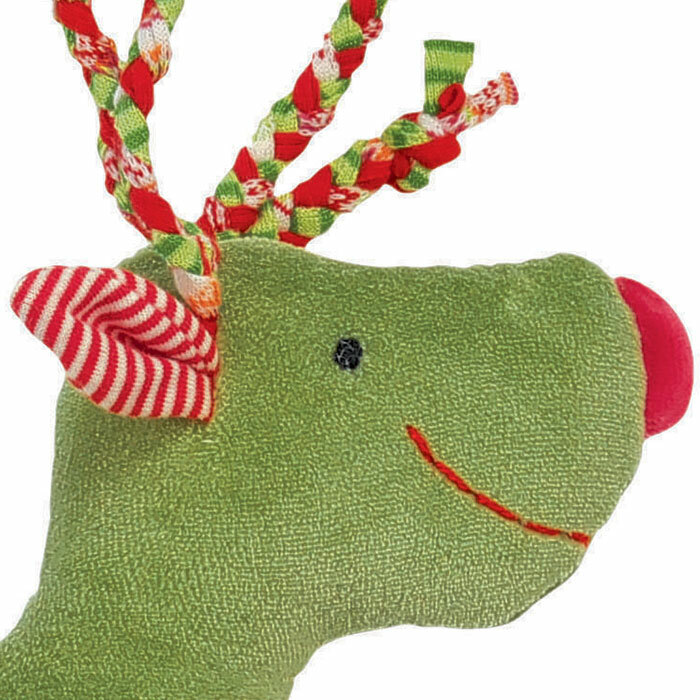 The fiberfill-stuffed reindeer is a perfect holiday gift.